My kids have been asking for a puppy, or any pet for that matter, for the last year. 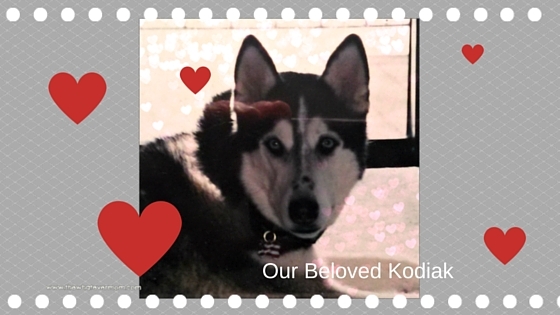 We lost our beloved Kodiak just days before my girls’ second birthday. He passed away suddenly at age 16. He was my first “baby” and my constant companion for 13 years. I was deeply saddened when he passed and now three years later, I am ready to think about bringing a new pup into our lives. But, I am still worried my kids aren’t exactly ready yet. So, to satisfy their love of animals and to help them mature in their understanding of the responsibilities for caring for a pet, we began volunteering at the SPCA. This is our first official volunteer work outside of the house. This summer we made a cat bed from a recycled tire. The girls LOVED it and they were rewarded with spending time with the kittens. I asked what else we could do to help and the youth director suggested we look at the wish list on the website. The list includes things from office supplies to dog and cat food to medical supply needs. You might be wondering why the SPCA would be asking for so much. Well, it turns out the SPCA is not funded through any grant, or government agency. Each animal shelter has to raise their own funds to care for the animals and keep their building operating. The SPCA in your town most likely provides inexpensive shots clinics, animal adoption clinics and even advocacy for animal abuse. There is a team of amazing volunteers that finds homes for animals rescued from abuse. How can you help? Find your local ASPCA shelter and visit their website. Make a donation right online, or find their wish list and make a shopping list of supplies. You can ask your friends and family to donate items from the wish list in honor or in memory of a beloved pet. Kids can help sort items and deliver to the shelter. Take your kids shopping at the pet store, or have them help you fill a cart on Amazon.com and have the items shipped to the shelter. You can do which ever is easiest for you to do! Teaching our children compassion for animals reaches further beyond their interaction with just animals. It fosters compassion for all living things. Recently got a puppy for my kids (well me really). ACPCA/shelters are such a great cause for the fur-babies without mommies. I think this is a wonderful idea and it is great to get some practice at a shelter. I am sure that the shelter is really pleased about your contribution. I love what you are doing through your acts of service and teaching your children to serve as well. That is so important and wonderful. This is a great idea. My kids want a dog but they have no clue what it takes to care for a pet. I’m afraid the responsibility to care for the pet would fall on me. I think having them volunteer at an animal shelter will be a good way for them to get a taste of what it takes to care for a pet. Thanks for sharing this! My kids have been asking for a puppy for the past few years. Having them volunteer at a shelter is a great way for them to get a taste of what it’s like to care for a dog. What a great idea for an act of service! I always forget that our shelter needs volunteers and donations when I think of giving. Don’t forget they always need towels and blankets. So, if you don’t have time to give maybe during spring cleaning (or before you toss a towel) you can find something to donate. Thanks for reading! We volunteer at the shelter taking care of the cats once a week. It helps them keep costs lowers! What a great idea! I would love to get a furry friend! Oh boy! We have two big dogs and I love them, but they are a huge amount of work and responsibility. My youngest and I often stop by our local animal shelter to spend time petting the cats. She loves it and so do all of the cats. What a great idea to have the kids volunteer at the shelter. They will learn the proper way to take care of pets there. How lovely. This is without a doubt the time for giving! losing a pet is so hard. We have an older dog and I worry about how many years she has left. We also have a puppy that we got in the beginning of the year. My daughter would have us get a thousand dogs if it was up to her but luckily it’s not. I’ve always wanted to volunteer my time with the SPCA. As a dog lover, I know they need all the help they can get. It’s been my experience that getting a new dog does help heal the pain of losing a companion. Thanks! My friend gave me a poem about getting a new dog. It is written from the perspective of your lost love and how your dog would want you to love again. It’s very touching! I’ve volunteered at our animal shelter for the holidays before. I should do that again. Such a great cause! Yes! I love that you’re not forgetting the furry friends that need love too! That is a great way to ease into getting a dog! I like to send supplies and treats to our local shelter.